Two days out this weekend. Saturday we took Sprout and Massimo to Hillview for a dressage show. Sprout won prelim 14 on 70% and Massimo won the Novice on 71%. Then another fab result for Annabel McCourt, who I coach, finishing 2nd in the Novice. A very happy Tracy Haines, who I also coach, had 2 scores over 60% in the prelims on her TB mare, with several people commenting on their improvement. It was a really feel good day for me, both from a horse and rider training point of view, and several others whom I coach felt they achieved their personal bests too, it was great to see so many of you out competing! Photo below is of Massimo with Milo who I bought as a foal and sold as a 6 year old to Maria Norrell. Massimos sire Miley is Milos Grandad, both such lovely boys. Thank you to Maria for the photo. 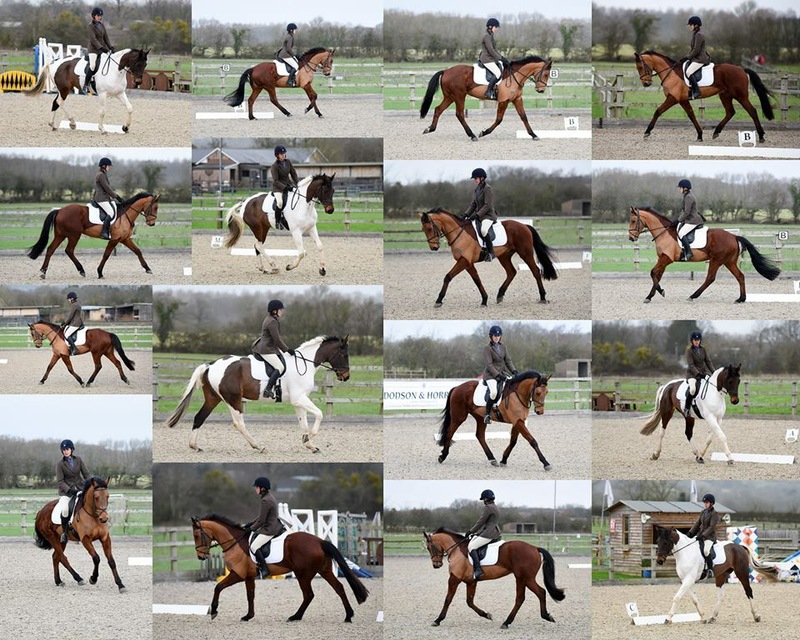 Sunday it was off to Hartpury with Massimo for the smaller BS classes. He jumped well in the 90 to win his first BS £ prize. £16 & I was so pleased with him. Then we jumped in the discovery but he got unbalanced, over bold and had 3 down. I rode rather too much with the XC eye of an Eventer and asked him to put 3 strides in a 4 stride distance, so maybe it was me being over bold rather than him!!! lastly it was fab to see Saffron Cresswell jumping so well on her new horse, a super partnership in the making and one I am really excited about coaching.